North Attleboro is a beautiful place made even more beautiful by picturesque landscapes. Winter has come and gone, and now it’s time to start sprucing up around the house. A beautiful landscape adds more to the exterior appearance of your home than you could imagine – real curb appeal. After the New England winters your lawn can look a little drab and lifeless. Most people are ready to bring a fresh new look to their lawns; green grass and carefully placed shrub or flower beds can work magic to give your home that well-maintained look and a burst of vibrant color! A beautiful landscape requires more than just mowing the grass occasionally. If you want your home to stand apart from the rest, it’s time to get to work – or have someone do it for you. What will it take to get your yard in shape for the upcoming months? Sometimes a little clean-up is necessary after the long winter months. Removing leaves, sticks and other debris from your yard will give it a cleaner look, but that’s just the beginning. 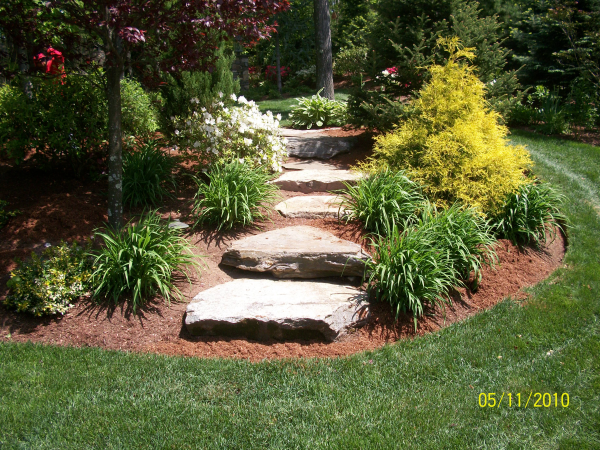 How would some new shrub beds add to the look of your landscape? We’re not talking a little rectangle flower bed in the corner here. 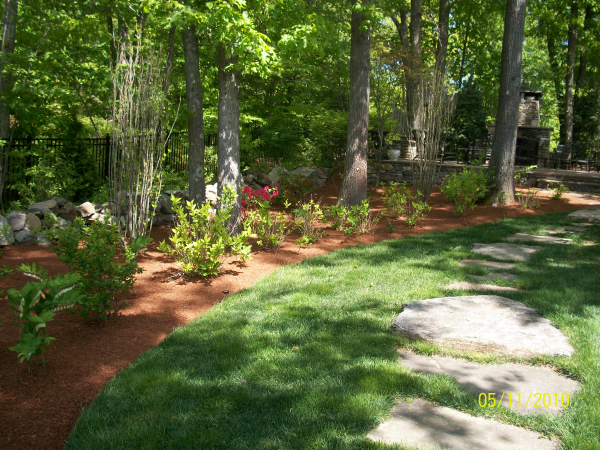 Intricately designed areas with clean, curved edges will set your lawn off this spring and summer. When the grass greens up, the contrast is amazing. Pruning back damaged or broken branches is sometimes necessary in the spring. Raking the lawn and fertilizing to “feed” the soil are other factors that should be considered. By fertilizing your gardens and lawn, the soil is getting much needed nutrients so that it can produce amazing plants and lush green grass during spring and summer months. Controlling weeds is another essential task if you want a beautiful landscape that captures the eye all season long. Have you ever mowed your lawn only to look out in 10 minutes and see dandelions popping their heads up (it seems that fast anyway)? Nothing is more irritating. Crabgrass, dandelions and other weeds that can spoil your landscape need to be taken care of before they take over the lawn. Depending upon the shape of your lawn now, there are several aspects of professional landscaping that may benefit you. A beautiful landscape may require not only mowing, but fertilization, edging the gardens, mulching, pruning of trees and shrubs, clean up and proper irrigation. Careful watering can make all the difference in the appearance and health of your lawn. A lush, green lawn is one that has been watered properly, encouraging roots that grown deep and are resistant to drought. If you’re lawn has been neglected for years or you have just moved in to a new home, a complete lawn renovation may be in order. Remember, there’s more to a beautiful, well-kept lawn than just raking leaves and mowing the grass! If you want to have that home that makes everyone who passes by take notice, keep in mind that a beautiful landscape takes work, and it’s dirty work – but extremely satisfying once you see the fruits of your labor. Leave it to a professional, and watch your lawn transform before your eyes.